Tour the world-famous Northern California coast from San Francisco or any Bay Area location with San Francisco Limo! 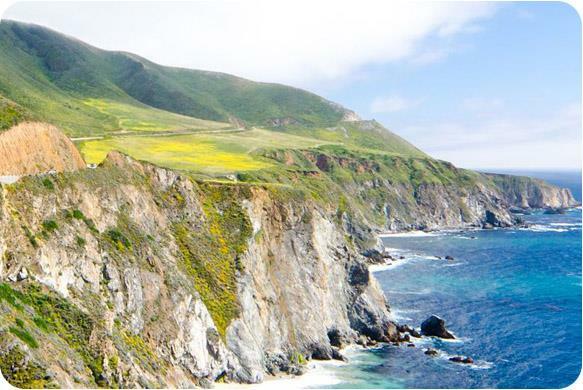 Relax on our Monterey and Carmel tour and enjoy the scenic splendor of Route 1, including the rugged and dramatic Monterey coastline, from the luxury of your own private limo. Your limousine can start out early from San Francisco, taking Route 1 all the way south and stopping along the way at postcard-perfect picture spots, or just to take in the fresh Northern California coastal air. Take a spin through Santa Cruz in your limo, stopping at the boardwalk to experience the rides, the beach, and feel that 1950s California atmosphere. Then your Monterey and Carmel tour can continue on to the gorgeous panorama of Monterey Bay, taking your limo on a side trip through Cannery Row or the Monterey Bay Aquarium. Afterwards stop off in Carmel, with its internationally renowned golf courses and seafood restaurants, and an air of relaxed fun and vitality that makes Northern California's coastal towns famous. Finally, your Carmel and Monterey tour will take you along the 12-mile drive where the ocean scenery of Route 1 peaks in the magnificent drama of sea cliffs and winding roads. Courteous and professionally trained San Francisco limousine drivers can show you all this and more, bringing you back safe, relaxed, and full of memories of your idyllic trip down the Northern California Coast. Make an online reservation or call San Francisco Limo today to book your limo! Phone: 800.851.4294 for reservations, 650.228.1920 for information, or fax 650.228.1921.